My ideal December outfit strategy. 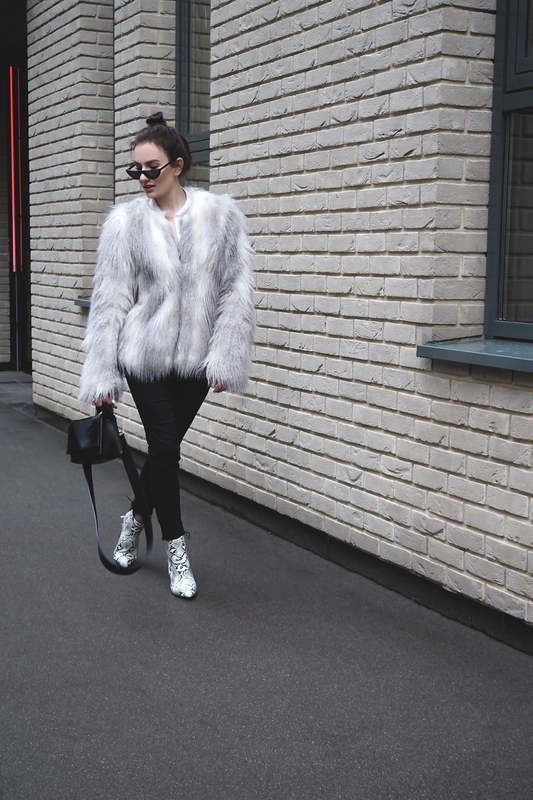 Another thing I love about Festive season and winter period in general terms is fur. Natural or faux one it doesn't really matter. 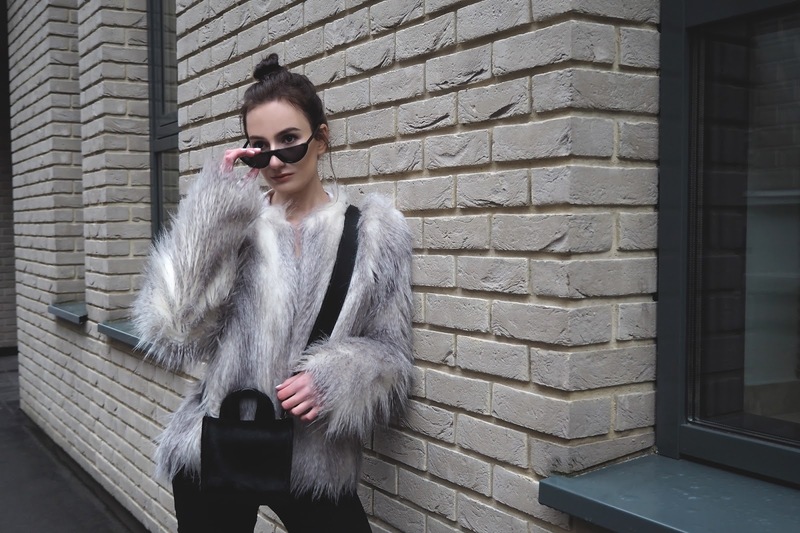 One of the main advantages of a faux fur piece is sure about super interesting, eye-catchy, sometimes even crazy styles. The sort of styles one wouldn't risk to invest in in case of a natural option. Now I got this faux fur piece ages ago, literally... yes, back in my London days. And still, even after all these years I can't get over it. Going to be honest, at some point I started to get bored with it... especially lately... but suddenly I found a way, or strategy, to kind of refresh it. That turned to be a breath of fresh air maybe. 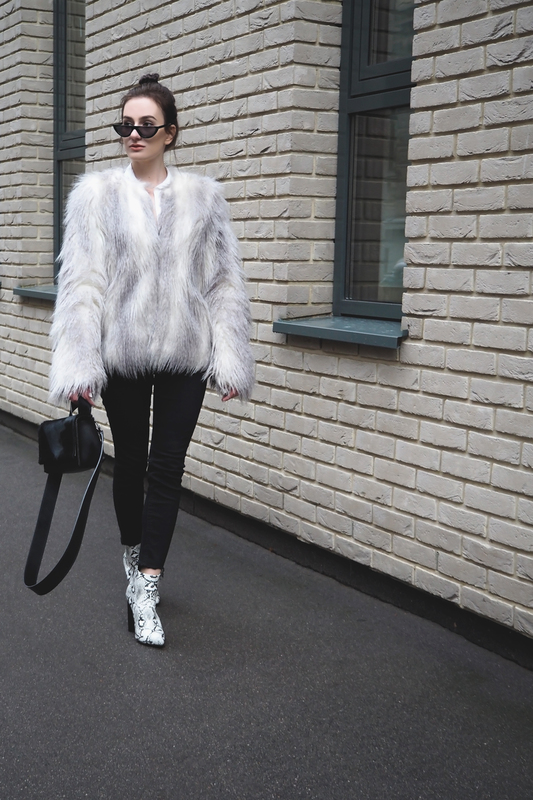 When it comes to the total outfit of the day, I didn't initially plan to combine this faux fur piece with the boots. But I like the outcome. Simple, neutral colored, dynamic and with an attitude kind of outfit. And, yes, here shades come more as a cool final touch rather than sun protection thing. Because, the devil is in the details, right?